It's almost that time of year again. Where pumpkin spice dominates every white girls life and weekend corn mazes are the go to activity. 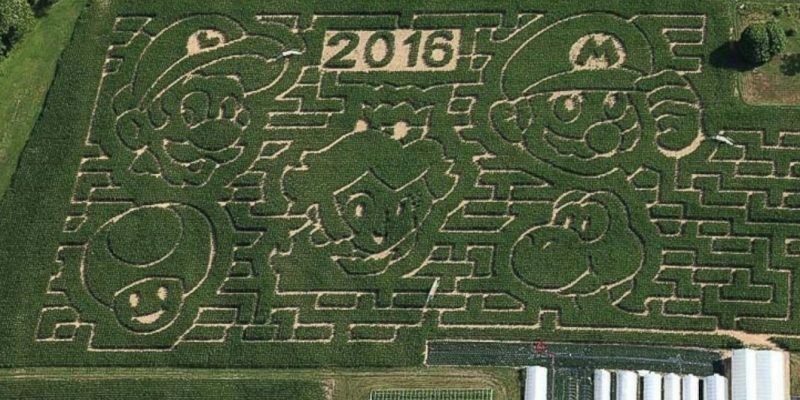 A farmer in New York made the ultimate corn maze this year, a Super Mario Corn Maze! The Stoughton Farm in Upstate New York are the creators of this 8-acre corn maze, which typically brings in over 10,000 people a year! Once the theme for the maze is picked, the Stoughton's have a company in Utah design the maze which is then created by the Stoughton's and their employees. It's quite the extensive process, but the outcome is amazing! 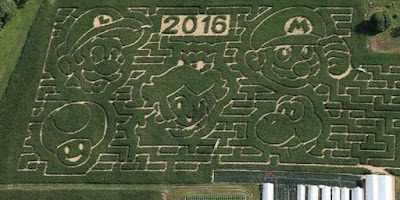 We absolutely love this Super Mario maze! I wish that we could make it to Upstate New York to check it out in person. If you go see the maze, tweet us your picture to @onthemicpodcast we would love to see it!